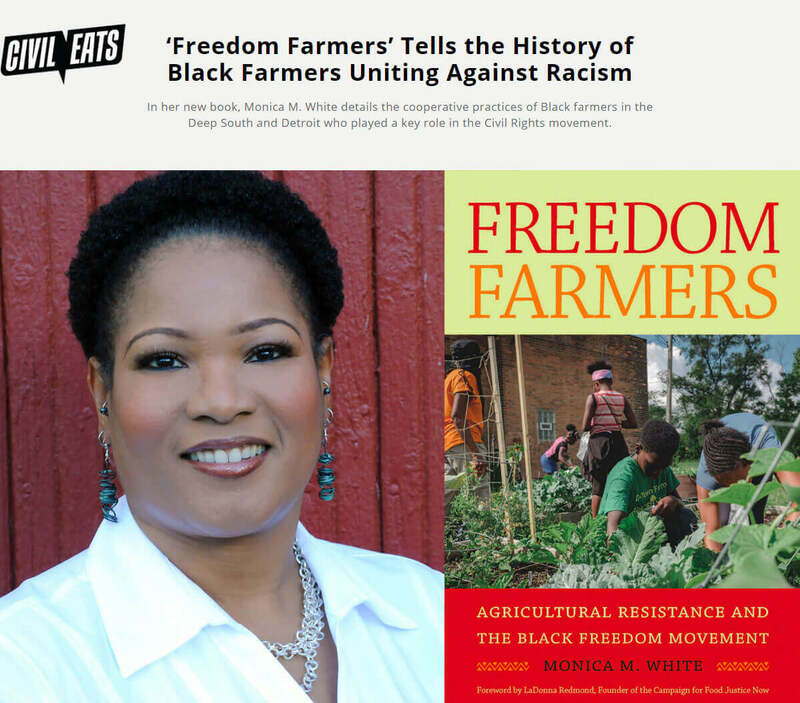 Publications & Press | Monica Marie White, Ph.D.
White, Monica M. 2011. 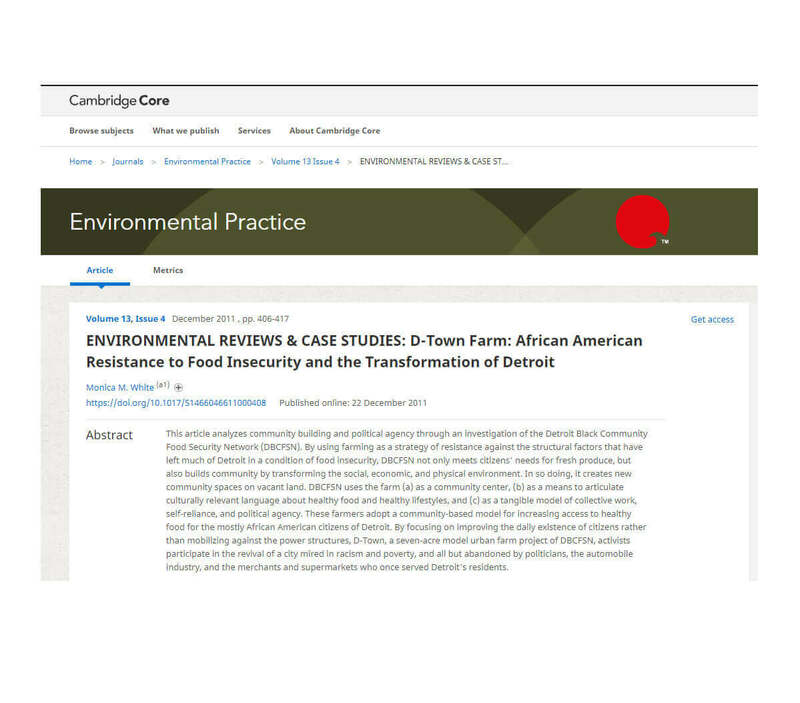 “D-Town Farm: African American Resistance to Food Insecurity and the Transformation of Detroit.” Environmental Practice. Vol. 13 (4). White, Monica M. 2011. 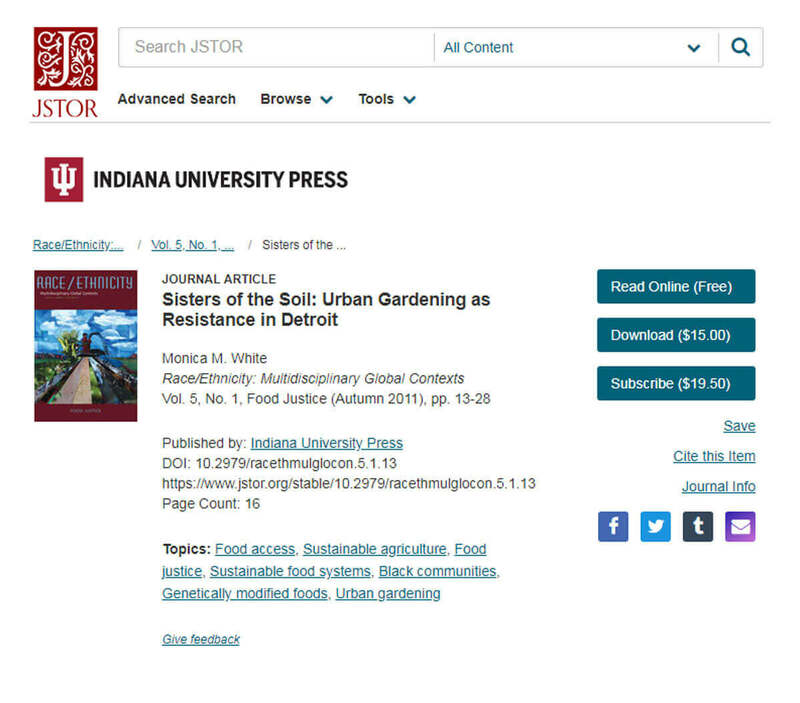 “Sisters of the Soil: Urban Gardening as Resistance in Detroit.” Race/Ethnicity: Multicultural Global Contexts. Race/Ethnicity: Multicultural Global Contexts. Vol. 5 (1). White, Monica, M. 2010. 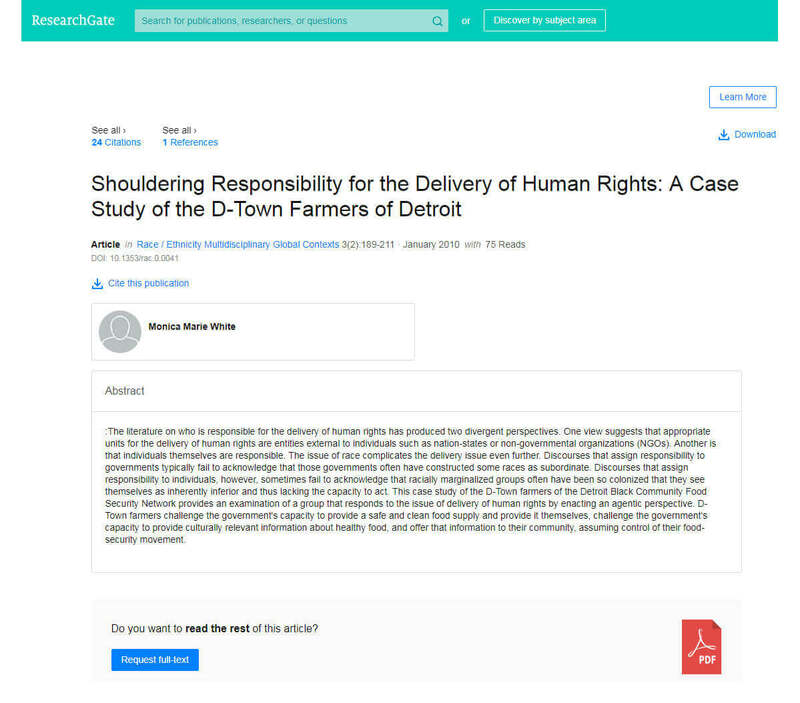 “Shouldering Responsibility for the Delivery of Human Rights: A Case Study of the D-Town Farmers of Detroit,” Race/Ethnicity: Multicultural Global Contexts, Vol. 3 (2): 189-212. White, Monica, M. 2009. 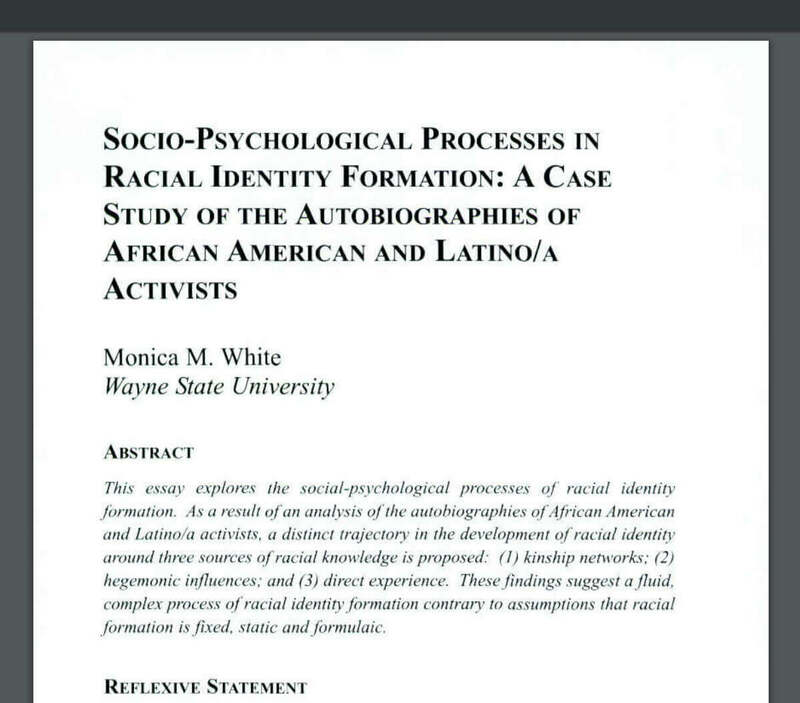 “Socio-Psychological Processes in Racial Identity Formation: A Case Study of the Autobiographies of African American and Latino/a Activists, Humanity and Society, Vol. 33(3): 185-205. White, Monica, M. 2005. 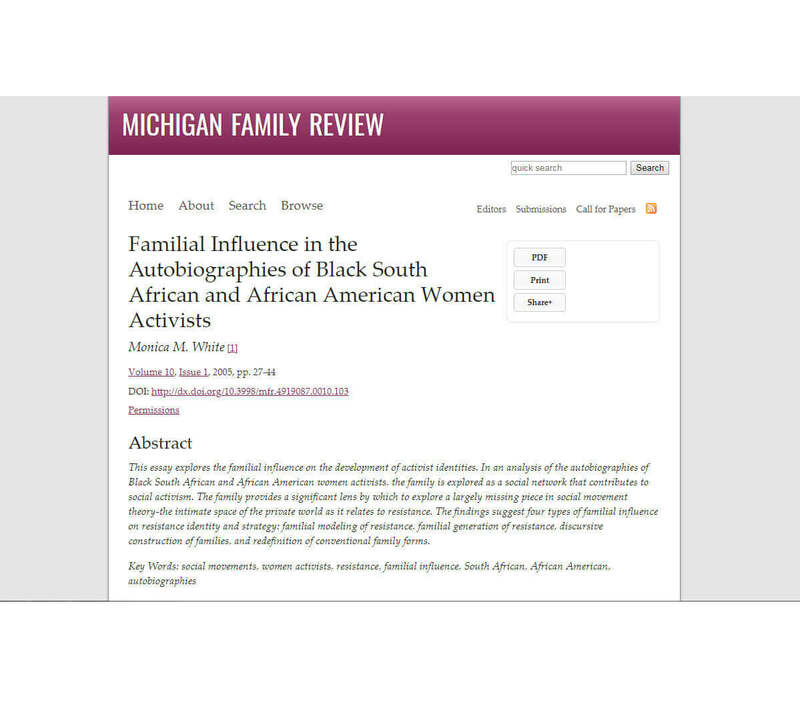 “Familial Influence in the Autobiographies of Black South African and African American Women Activists.” Michigan Family Review, Vol. 10 (1): 27-44. White, Monica, M. 2003. 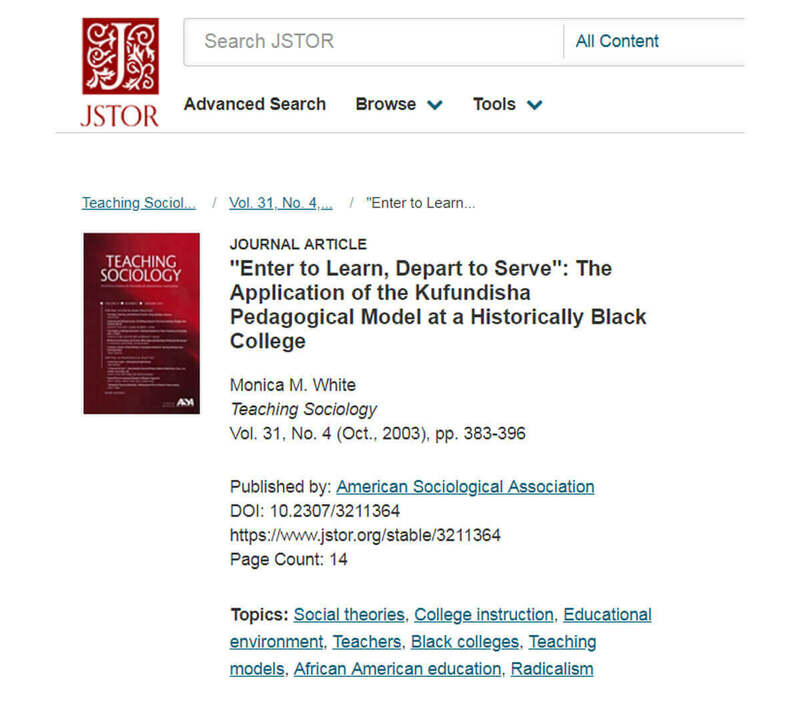 “Enter to Learn, Depart to Serve: The Application of the Kufundisha Pedagogical Model at A Historically Black College.” Teaching Sociology, 31 (4): 383-396. 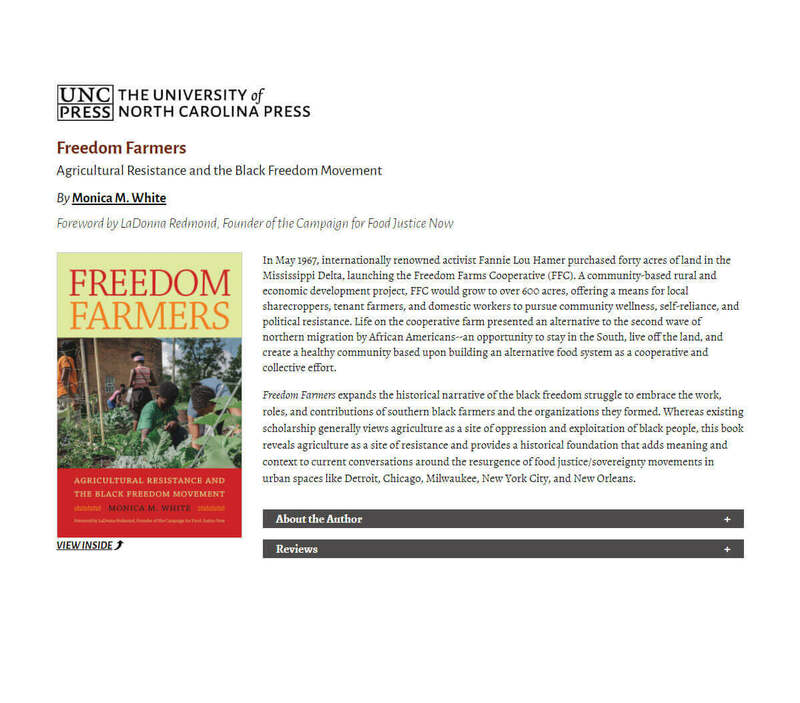 White, Monica, M. “A Journey to Liberation: Culture of Resistance and Mobilization in the Newsletters of the League of Revolutionary Black Workers.” Under Review at Critical Sociology. 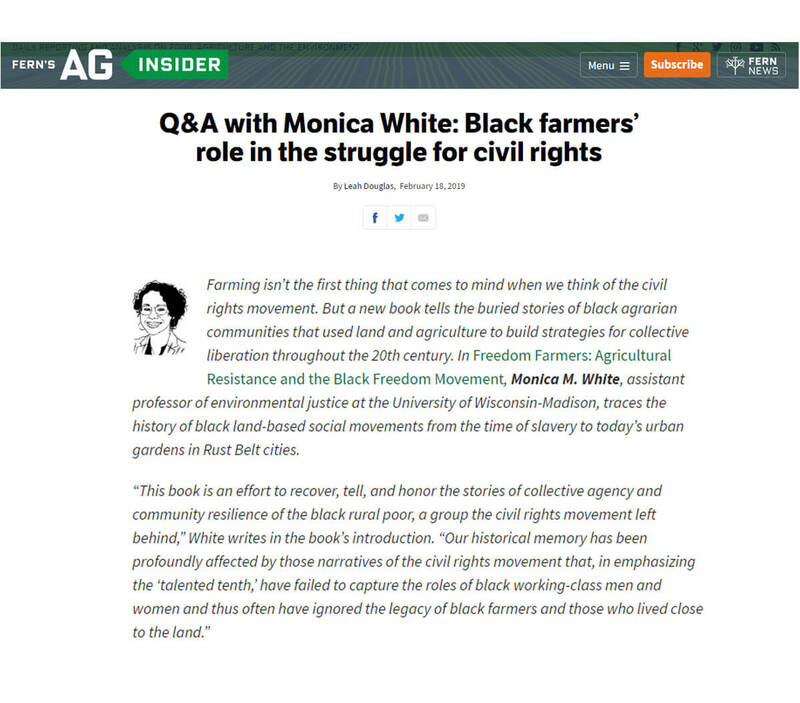 White, Monica, M. “Cultivating Justice: Teaching, Research, and Community Engagement Through Urban Gardens.” Under Review at Teaching Sociology. 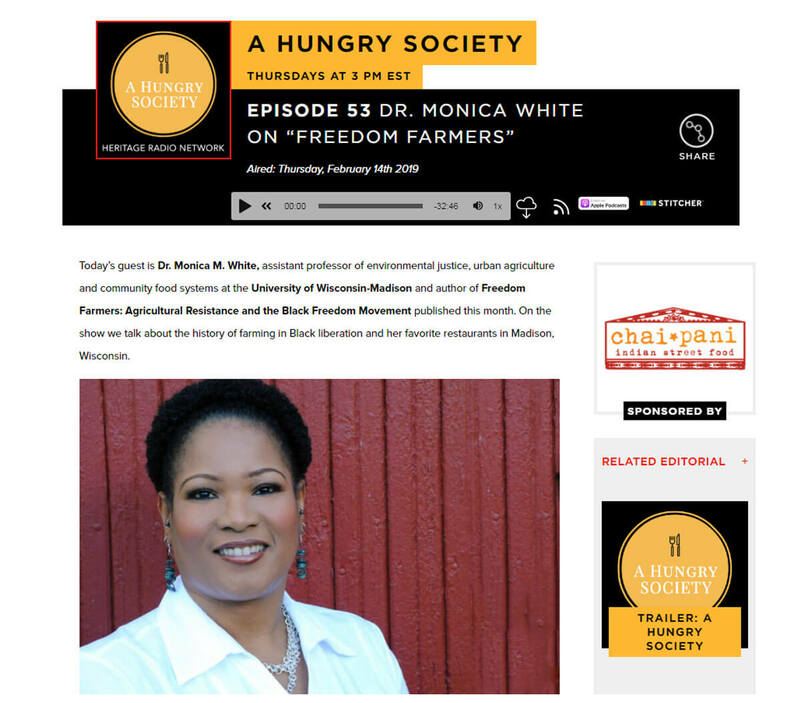 White, Monica, M. “Planting Seeds of Resistance, Harvesting Change: Race, Gender and Farming in Detroit.” To be submitted to International Social Science Review. 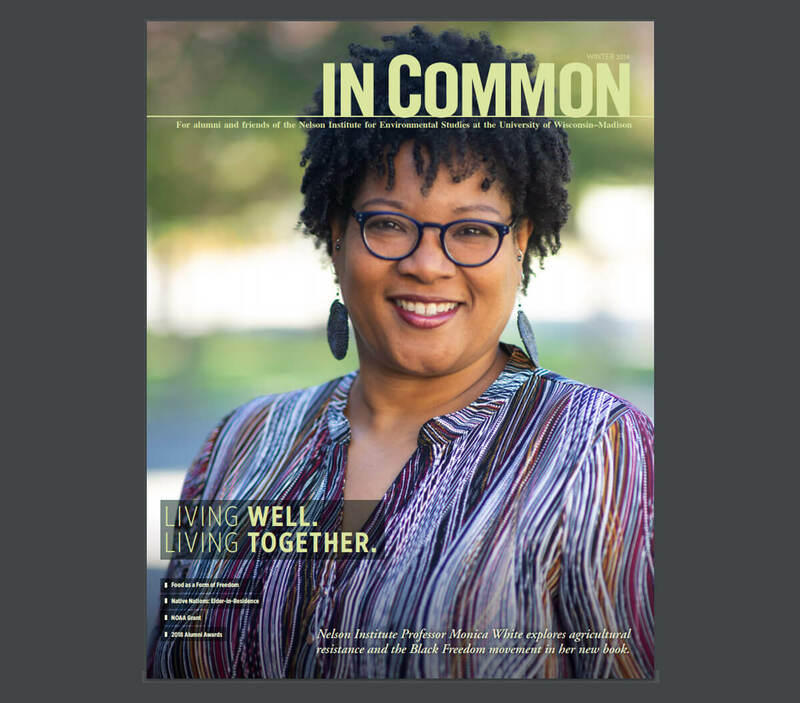 White, Monica, M. “The White Elephant in the Community Garden: Race, Whiteness and the Urban Gardening Movement in Detroit.” To be submitted to Mobilization. White, Monica, M. 2009. “Socio-Psychological Processes in Racial Formation: A Case Study of the Autobiographies of Former Black Panther Party Members,” in Race Struggles, edited by S. Cha-Jua, T. Koditschek, & H. Neville. University of Illinois Press.